The unprecedented dumb carnival stunts that were struck as part of the deal to allow the government to issue debt for spending measures it's already passed popped up again earlier this week, as the House passed a meaningless "resolution of disapproval" for the latest $500 billion in borrowing authority. But some Republican members of Congress were so used to voting "no" on anything tangentially related to the debt ceiling that they accidentally voted against the resolution of disapproval, like clowns. 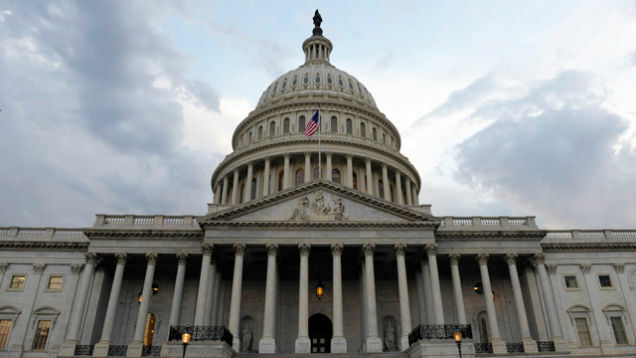 Wednesday's House vote disapproving the recent increase in the nation's debt limit was unusual in at least one respect: it drew opposition from five Republicans, including a committee chairman, two of whom now say they didn't mean to oppose the nonbinding resolution. Republicans Vern Buchanan of Florida and Phil Gingrey of Georgia were among the lawmakers who voted "no" on H.J.Res. 77. But both later submitted statements to the Congressional Record saying they had made a mistake. "I inadvertently voted ‘no' when I intended to vote ‘yes,'" Mr. Gingrey told the House on Thursday. Mr. Buchanan had an additional request: "Please let the permanent record reflect that I support H.J. Res. 77 and my vote should be recorded as ‘aye.'" "Vern thought he had voted yes, until he found out otherwise," said Max Goodman, a spokesman for Mr. Buchanan. Mr. Gingrey's office did not return a voicemail message. Wah wah wah! Too late. Hey, Tea Party — Vern Buchanan and Phil Gingrey love letting Obama borrow tons of money to pay for welfare. They need to be primaried.